In anticipation of a transformative New Year and with 2019 fast approaching, there have been a lot of new faces appearing at Pufferfish HQ. Having successfully closed out the first phase of our on-going fundraising drive, we’re excited to welcome the additional talent to the team to support our growth and expansion into new markets and territories. Further appointments and exciting times lie ahead as we execute our plans to build upon our first-class reputation for unique display and visualisation solutions in the global market. This phase kicked off officially in October, when we secured a high-profile board appointment in the form of new chairman, former mLED CEO Seonaidh MacDonald. With over 25 years of executive management and board experience under his belt, Seonaidh notably led mLED’s hugely successful trade sale to the major U.S. social media player in 2016. 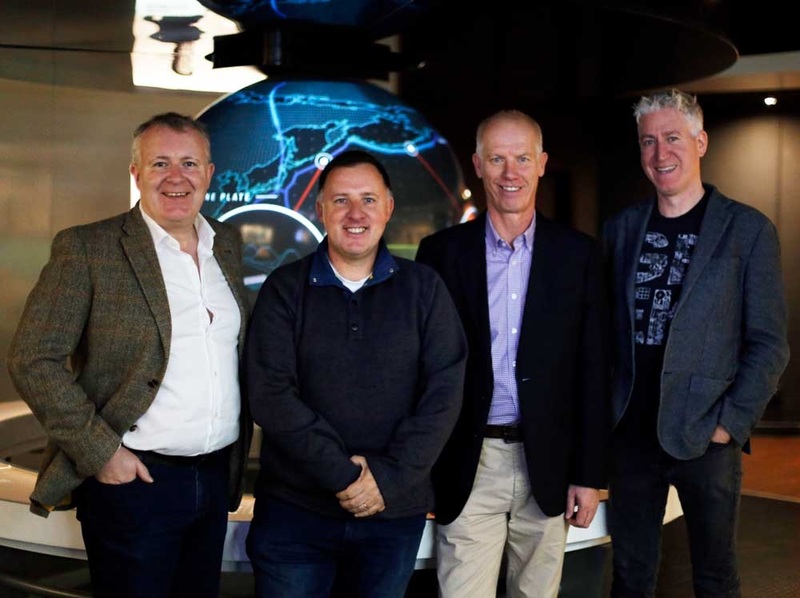 A key figure in the Scottish tech scene and owner of EOLAS (Advisory) Ltd, he has worked with international names such as IBM, AMP Inc. and Babcock International Group. Pufferfish Director and Par Equity partner, Paul Atkinson sees Seonaidh as positioned to be an ideal guiding hand as we grow to meet the ever-increasing demand for our products worldwide. In addition to the new board appointment, three new high-profile collaborators join us in the form of the newly established Pufferfish advisory board. We’re delighted to welcome our esteemed new advisors who will serve to offer strategic advice, combining their myriad expertise to aid us in achieving our ambitious goals. Donald Lawson – Former CEO of Faithful + Gould, Donald had responsibility for the management consultancy’s worldwide operations, over 2000 staff and a turnover in excess of £200m. Chairing their global leadership team in coordinating service delivery, and with experience in multiple sectors, he will be a trusted advisor to Pufferfish as we scale up our operation. Ed Parsons – Ed is the Geospatial Technologist of Google, with responsibility for evangelising Google’s mission to organise the world’s information using geography. With a strong foundation in academia, Ed made his mark as the Ordnance Survey’s first ever Chief Technology Officer, influencing the mapping agency to move the focus of the centuries-old organisation from mapping to Geographical Information. His future-focus approach will prove invaluable going forward. Completing the operational team with another appointment in December is Elvira Dmitrieva as Operations Manager. Elvira has over a decade of experience in applying her skills to SME growth. Pufferfish technologies change the way in which we use, view and understand digital information. Watch this space as we drive forward with our vision to make digital real worldwide.